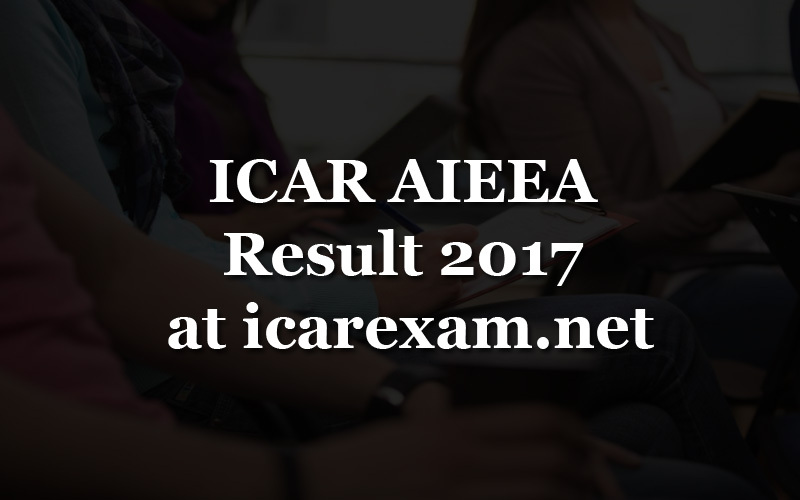 ICAR AIEEA Result 2017 is likely available today on July 5th Wednesday at the official website. The Indian Council of Agricultural Research (ICAR) has conducted examination for the undergraduate and postgraduate on June 10 and 11 respectively. Candidates those who all waiting for the results will get as soon and it is expected that the ICAR will declare the AIEEA results on its official website. Check the results at icarexam.net. Also, the AIEEA UG, PG Result 2017 is available on icar.org.in. This is the entrance exam for the admissions to the UG and PG programmes in the agricultural research. Around 50,000 candidates appeared for this examination on 52 centres. Due to various reasons, the ICAR can’t able to declare the AIEEA Results as per the date on June 30. Enter all the required personal details like Registration No., Password and Code. Click on login button after filling all the details. The result will appear on the screen once you clicked on Submit button. Candidates those who all qualified the exam will be called for counselling. It is fully based on their merit in the exam. NOTE: The final schedule will be notified on the official website by ICAR. It is tentative schedule for Counselling. *If the seats are still vacant even after the second round, the third round of counselling will be conducted.